MaTeS is usually associated with athletic tracks and especially with high competition. The innovations that Francesc Mates contributed to the improvement of the performance of the rudimentary shoes that were used in the Spanish sport of the mid-twentieth century, made him one of the most outstanding references in the manufacture of sports shoes for competition. But if there is any other sport where MaTeS can highlight its relevant role for decades, undoubtedly this is Handball. Until the 60s, it was common for players to use primitive canvas shoes with rubber soles. 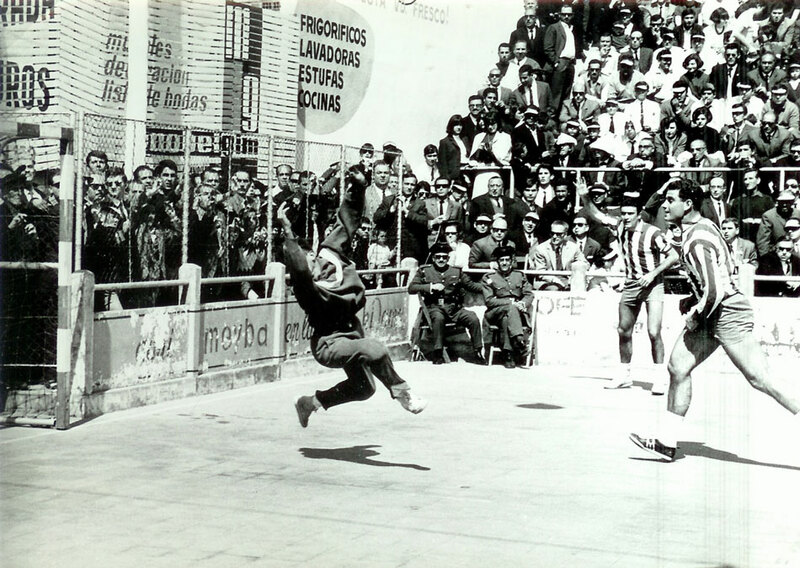 It was at that time when Francesc Mates began to develop his first prototypes until arriving at the presentation of the first MaTeS model of Handball (1961). The performance improvement offered by those shoes meant a turning point and the beginning of a long relationship between Handball and MaTeS. The close relationship of Francesc Mates with several leading players of the moment allowed him to continue advancing in the development of new technical solutions, example of which was the creation of the lateral “bandoleer” of crepeline (1965), reinforcement that enveloped the entire contour of the footwear and it improved considerably the lateral control in the displacements. This system served as the basis to develop new versions until reaching the legendary MaTeS Handball shoes, a reference of prestige and quality during the 70s. Some veterans tell that it was usual that before the game started, the players of the rival team wearing MaTeS shoes were counted. If they counted many, they were clear that the game wasn’t going to be easy. Today, MaTeS handball shoes are considered a timeless classic that maintainsthe spirit of those generations of players during the decades of the 60s, 70s and 80s; they fought for this discipline to have a prominent place in Spain, laying the foundations to achieve the outstanding international successes that are accompanying Spanish handball in recent years.